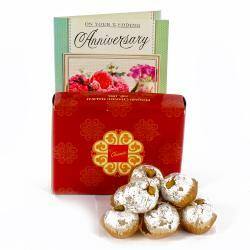 Product Consists : Box of Chandu Halwai Badam Tacos Sweets (Weight : 250 gms) along with Birthday Greeting Card. Beautified with a lovely message, this card is sure to be an ideal way of telling your love once how lucky you feel to have them in your life. The best way to express your emotions by sending a birthday greeting card. 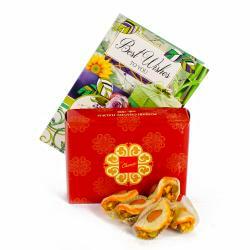 Everyone loves to receive a card and sweets either through the post or by hand. In this crazy fasts, faster, the fastest instant world that we all live its worth reflecting that the greeting card is still considered by most as the truly effective way of telling someone you really love and care. Badam Sweets are an integral part of every Indian festival so you cannot miss out on them. Mithai for those who have a strong appetite for sweet dishes. 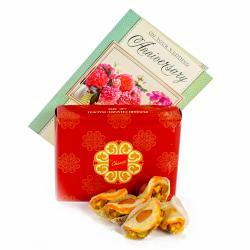 These are assorted varieties of sweets blended with pure Desi-Ghee. 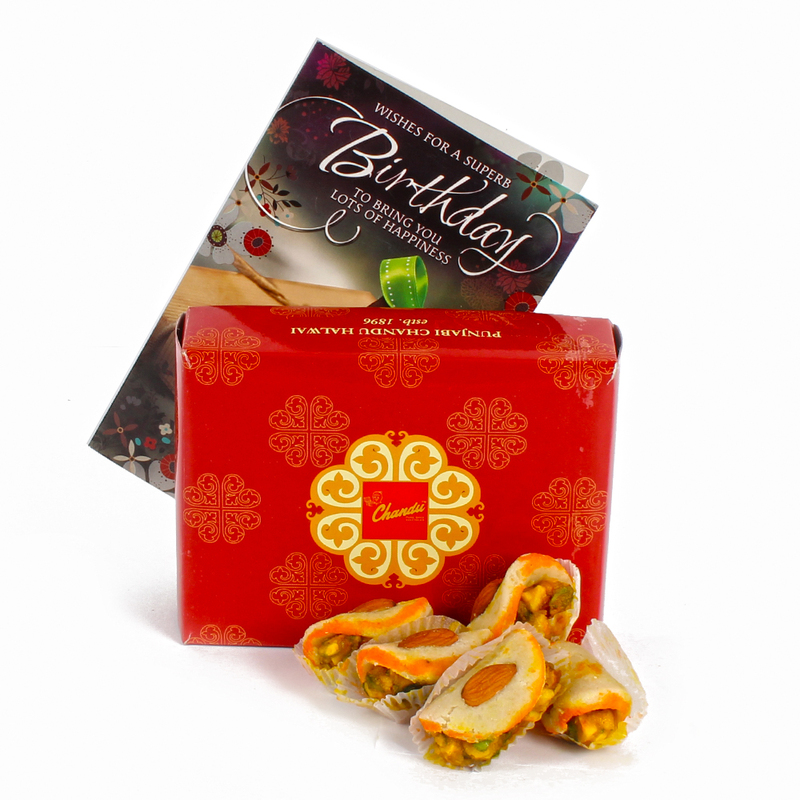 These delicious delicacies in beautiful shapes are just perfect to convey all your good Wishes. 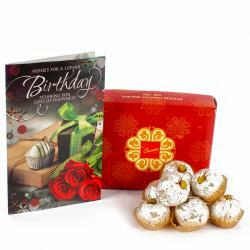 Product Consists : Box of Chandu Halwai Badam Tacos Sweets (Weight : 250 gms) along with Birthday Greeting Card.